You don’t have to be an environmentalist to have heard of the threats invasive species pose worldwide. Just this summer, the Zika virus and its rapid spread via invasive mosquitoes caused numerous high-profile athletes to withdraw from the 2016 Olympic Games. Although projected totals vary, the World Bank Group estimates the Zika virus will cost Latin America and the Caribbean region $3.5 billion. The exposure of non-native plants and animals into new ecosystems is not without major consequence — whether it be wildfires, disrupted agriculture or endangered native species. These invasive species wreak havoc, costing local communities more than just dollar amounts. Here’s a look at some of the most destructive invaders nationwide, and the true cost of these species on ecosystems. The common carp has been prevalent in U.S. waters since the late 1800s and has yet to prove threatening toward its environment. Although invasive carp were introduced nearly 100 years after, these carp now account for 97 percent of the aquatic life in parts of Illinois and the Mississippi River. Invasive carp, synonymous with the umbrella term “Asian carp,” consist of bighead carp, silver carp, grass carp and black carp, which were introduced to filter algae and other organisms out of pond water. 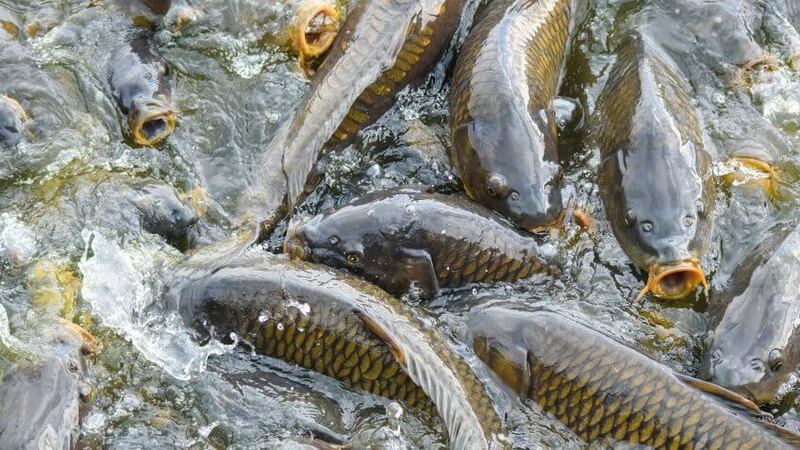 As a result of flooding, these carp were able to move into other bodies of water and reproduce. These bottom feeders have voracious appetites, able to eat 20 to 40 percent of their body weight, with certain species reaching a maximum weight of over 100 pounds. Asian carp, like many native aquatic species, feed on plankton, small plants and animals, like snails and mussels. With such massive appetites, these highly adaptable fish are rapidly depleting the resources upon which native species rely. Dwelling near the water’s floor, Asian carp also destroy small habitats that are an integral part of the ecosystem. These carp, as well as invasive species generally, contribute heavily to the reduction of native species and further endangerment of neighboring life. In the Upper Mississippi River, bighead carp populations typically double each year. The same projected growth rate is applied to infestations in other bodies of water, including portions of the Illinois and Missouri rivers. With such rapid spread and reproduction, coupled with geographical proximity, invasive carp pose a great threat to the Great Lakes — home to commercial fishing and hunting industries valued at over $7 billion per year, according to the U.S. Fish & Wildlife Service. The preservation of the Great Lakes ecosystems, and the multibillion-dollar commercial industry its fueled, managed to get federal funding for initiatives to control carp populations, among other species. Special task forces were assigned to look into several different options involving hydrologic separation using physical barriers, lock and chamber systems to impede migration, and nonstructural technologies such as netting or chemical control. The cost analysis for the most expensive option is an $18 billion solution — not including annual costs, according to data from the Great Lakes and Mississippi River Interbasin Study. Since the White House prioritized the issue in 2010, Asian carp initiatives have cost approximately $228 million in federal funding thus far, reported the Congressional Research Service. There are a number of different invasive plants that are problematic, non-native grasses being a prominent one. Invasive grasses affect both desert and aquatic environments, and can be broken down into two groups: annual and perennial. Bromes are a type of grasses originating from temperate grasslands across Eurasia and other regions worldwide. Bromes are thought to have traveled to other parts of the world through human migration. In Southern California, non-native grasses pose a threat to native species, in part owed to their germination cycle. Bromes also contribute to an increase in wildfires, which they can recover from more readily than native species. This enables a transformation of the native desert landscape into an invasive, annual grassland. In areas located along rivers and streams, giant reed is another invasive grass that is contributing to wildfires in areas that normally don’t experience them. Giant reeds are native to India and were introduced to the U.S. for decorative purposes. Growing thick and up to 30 feet tall, giant reeds dry out during the fall fire season, providing a generous amount of flammable material to stoke flames. Plants native to wetland environments that are not equipped to handle such intense fires are destroyed, while giant reeds reproduce easily underground, where their seeds are protected. This fire ecology reduces the population of native plants, ultimately creating more room for invasive weeds to take over in their place. In California alone, the California Invasive Plant Council estimates the annual cost of invasive plants to be $82 million. 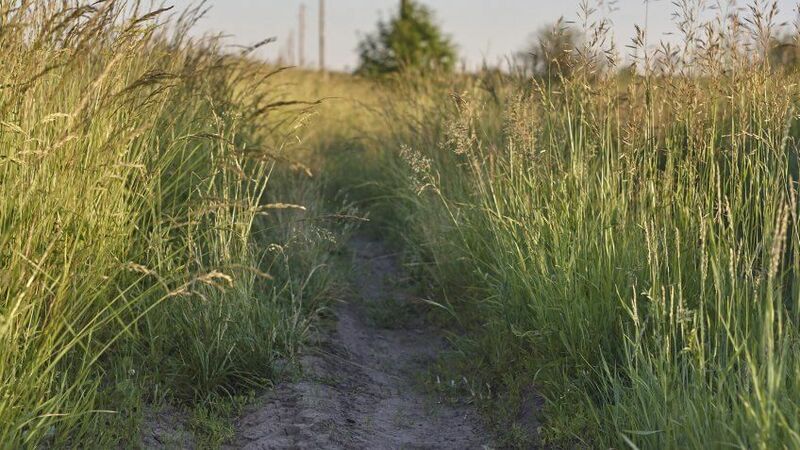 A recent study by the Weed Science Society of America puts losses to the U.S. and Canada at $43 billion per year due to invasive weeds impeding crop production. Many of the efforts against controlling invasive plant populations are happening at a state and local level, and include education efforts and volunteer programs. Several nonprofit organizations such as the National Wildlife Federation contribute through advocating for legislative change and funding, and establishing restoration initiatives for plants like the Garden for Wildlife program. The USDA gives grants like the Crop Protection and Pest Management program to fund and facilitate further research and actionable solutions. Zebra mussels are a commonly known invasive aquatic species. Although fairly small — with adults reaching around 2 inches at their longest — they cause massive problems for cities and power plants, as well as infested ecosystems. These intrusive shellfish are native to Eastern Europe and Western Russia, and were introduced by cargo ships. The first discovery of zebra mussels in the U.S. was in the Great Lakes in 1988. By 1994, 20 states had reported zebra mussels. Rapid reproduction is one of the reasons zebra mussels are dominating, with females laying hundreds of thousands of eggs per year. These bottom feeders can each filter through 1 liter of water per day, consuming phytoplankton and other nutrients. This disrupts the food chain’s foundation, leaving smaller fish with nothing to survive upon. Native mussels, especially the highly endangered species residing in the St. Croix River, are in danger due to zebra mussels. 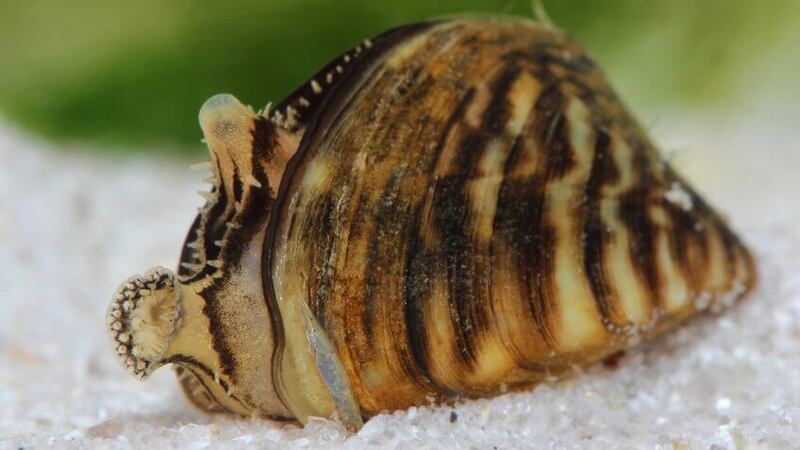 Invasive mussels attach themselves to native mussels, smothering them. Zebra mussels will attach themselves to any hard surface they can find — including boats and drainage pipes. In larger quantities they can cause blockages in engines and water intake pumps. In the Great Lakes alone, zebra mussels are estimated to have cost the power industry $3.1 billion between 1993 and 1999 — and the total impact on industries, businesses and neighboring communities surpasses $5 billion, according to a 2009 report from the Idaho Aquatic Nuisance Species Task Force. Forester is a key player in the second annual Aquatic Invaders Summit, a two-day event where government officials, partners, environmental groups, tourism industries and businesses gather to discuss the most effective course of action at a grassroots level and beyond to address the spread of invasive species into the Great Lakes region, and beyond. Minnesota legislation has also implemented effective measures, creating an aquatic invasive species prevention fund that distributes around $10 million annually. Boat owners pay a sales tax that is allocated directly into the fund, and the money is utilized at the discretion of the county for education and preventative action. In the journal Nature Communications, researchers at the University of Adelaide and Paris-Sud University estimated that the U.S. spends roughly $6.9 billion in health costs due to invasive insects. 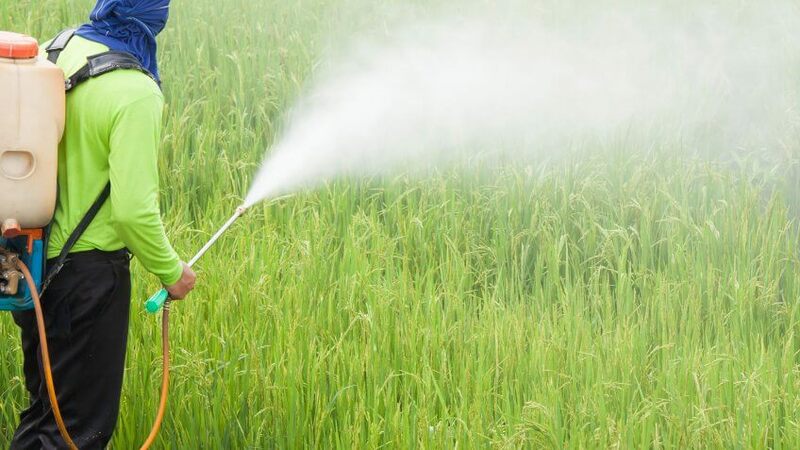 Couple that with damage to agricultural business, like the $10.7 billion citrus industry in Florida, and the potential damage for invasive insects within the U.S. alone is absurdly high. Unfortunately, due to lack of awareness and high competition for marginal budgets, many invasive species see little attention. In the U.S., more than 450 non-native insects have been found to negatively impact forests and urban trees, according to the USDA. One of the largest players in terms of dollars in damage to the American forest industry is the emerald ash borer. The emerald ash borer stems from Asia and Russia, and doesn’t really cause too much of an issue in its native land. However, when it was introduced to the U.S. — most likely by ash wood in cargo ships — it caused issues. EAB infest ash trees and deplete their water and leaves so the trees are unable to absorb nutrients. The more pressing issue is larvae — which infiltrate and feed upon the inner bark of the ash trees, cutting off the tree’s circulatory system. EAB can kill an ash tree in as little as two years. 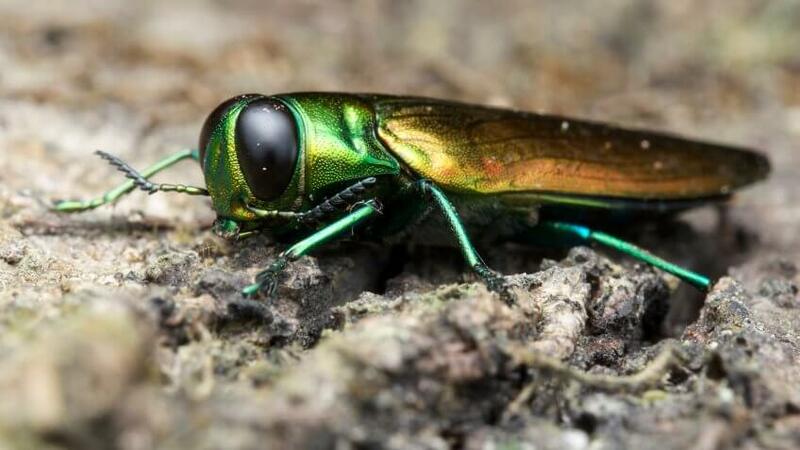 This invasive insect species has killed millions of ash trees, destroying the main source of food for 44 different species of arthropod and the homes of countless other native species. With ash tree populations dwindling, canopy gaps are created that can increase the toxicity of native plant species, potentially killing the insects that once fed on them for nutrients. The excess dead plant material changes the conditions of the soil too, and could have a negative impact on resources for remaining trees. Perhaps one of the most pressing issues for the preservation of ash trees and their surrounding ecosystems is that research shows no sign of ash tree regeneration after infestation — which could indicate ash forests destroyed by this native species might not be recoverable. Research conducted by the USDA Forest Service indicates that cost-effective measures can be taken against satellite populations of the insect that are not yet heavily infested. Slowing the expansion of infected areas that are not too densely populated is another cost-effective route. A breakdown of the cost analysis and comparison between measures to rectify EAB damage versus preventative costs shows that spending $1 billion in preventative action would have impeded a lot of the economic harm this invasive insect has caused. The general consensus is that more funding is needed to explore the effects EAB will have on other species of ash tree — as well as other species of tree that might potentially be at risk. Understanding the conditions that facilitate EAB invasion would aid in preservation initiatives. The threat of invasive insects is only expected to rise as a result of climate change patterns. In an interview, Dr. Mark Hoddle, biological control specialist and principal investigator at UC Riverside, explained how difficult it can be to just raise enough awareness to get funding, especially in regard to the preservation of natural areas that aren’t necessarily tied to a dollar amount. In order to really address the most pressing issues, Hoddle suggested a methodical approach that’s focused in three major areas: natural, agricultural and urban. A holistic approach with involvement at both the federal, state and local levels would really be needed for sustainable solutions. Cost analyses have proven that preventive action is significantly less expensive than retroactive invasive species management. “In nearly every case of invasive species, whether incidental or intentional, humans are responsible for introduction,” said Forester. Forester reiterated that inclusion of local community members, businesses and stakeholders has produced successful results. Including people who are most affected by the economic and environmental impact of invasive species has pushed change in Minnesota at a grassroots level and beyond. Several nonprofit groups and government organizations encourage volunteers to participate in rehabilitation programs, petitions and other initiatives to emphasize the need for funding and attention to issues like invasive species.